Well I’m having a go at working in my sketchbook in a regular basis. My sketchbook is quite small (A5) size for a couple of reasons – firstly because I thought an A4 or larger one would be very daunting with those large spaces to fill up and secondly because it’s the only size I could get hold of without waiting a fortnight for mail order! I have now got two other sizes on order, A6 for pocket work and A4 for when I am feeling brave. 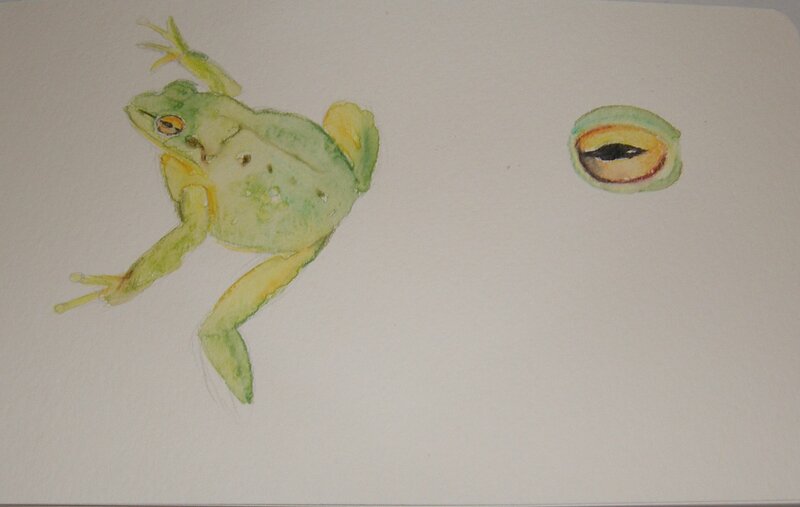 First a “hit” with this drawing of a frog in watercolour pencils. I think I captured the shape and colours well along with the rough surface skin texture. I also like the larger study of the eye as I think I got a good 3d effect. And now for a “miss”! 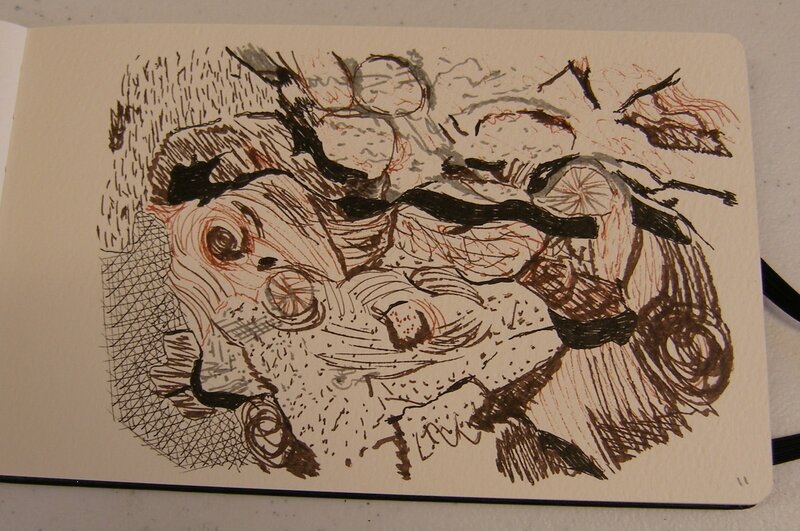 A not-so-good experiment in using pens (black, brown and grey). The pens are great to work with and the subject matter – a photo of a tree that I took in my exploration of Federation Park – has lots of wonderful detail but somehow my drawing does not look like a tree. Time for some analysis. I was trying to achieve the variations in colour depth through use of hatching, lines and blocks of colour. This has worked for the sold dark line that runs through the top half, and the knot and area bottom right. The hatched area bottom left needs to be darker. 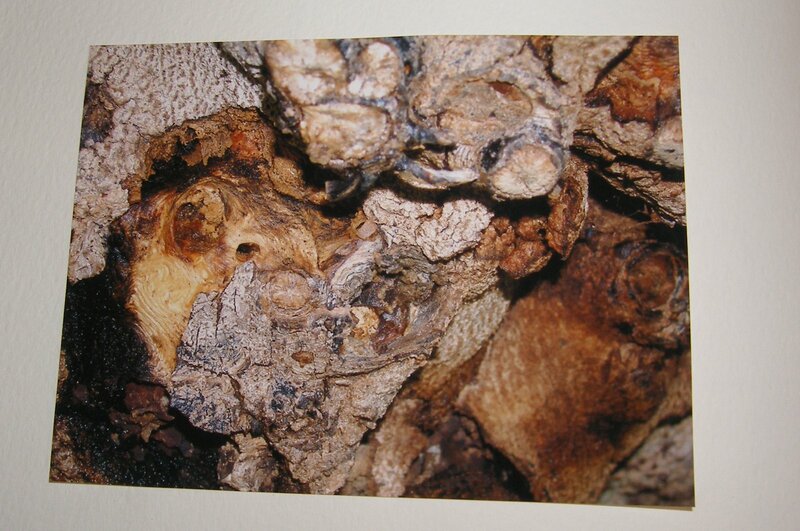 I think the area of small lines top left is quite a good match for the bark in that area. I haven’t managed to capture the really light areas, harder to do on a soft, creamy paper but I could have done better by working on the darker areas around the highlights to make them stand out. Actually, on reflection, I think the drawing isn’t too bad when viewed as what it is – a rough rendition rather than an exact match. There is certainly lots of texture in it and perhaps it has potential to explore the lines and shapes in a future exercise.